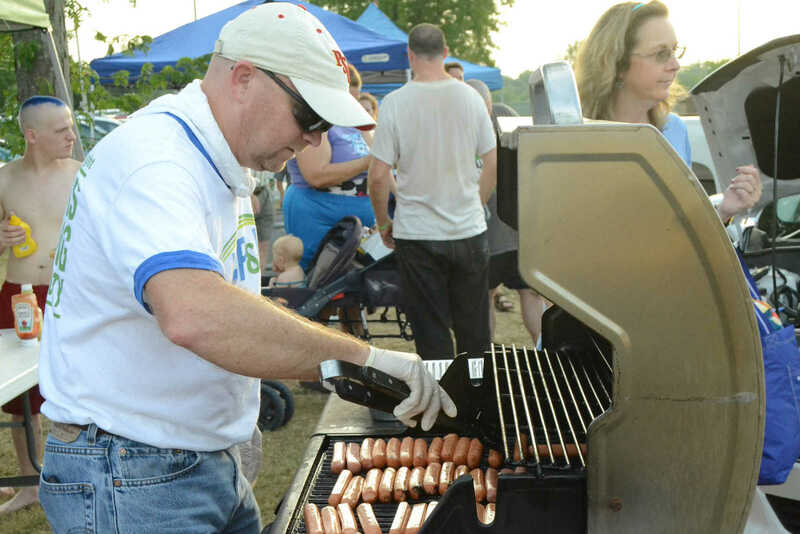 Marty Whitworth cooks up hotdogs for the National Night Out on Tuesday. 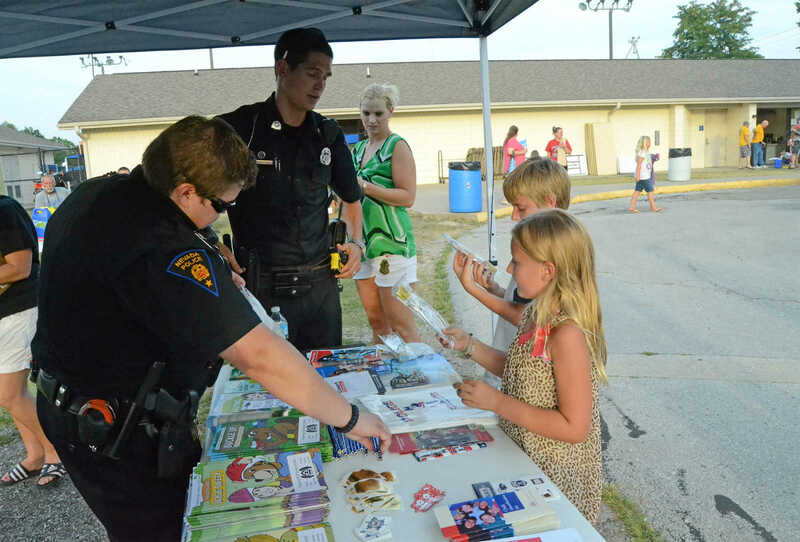 Mallory and Dylan Crews receive goodies and information from Nevada Police officers Amber Williamson and Patrick Deao at the Nevada Poice Department booth during National Night Out on Tuesday. 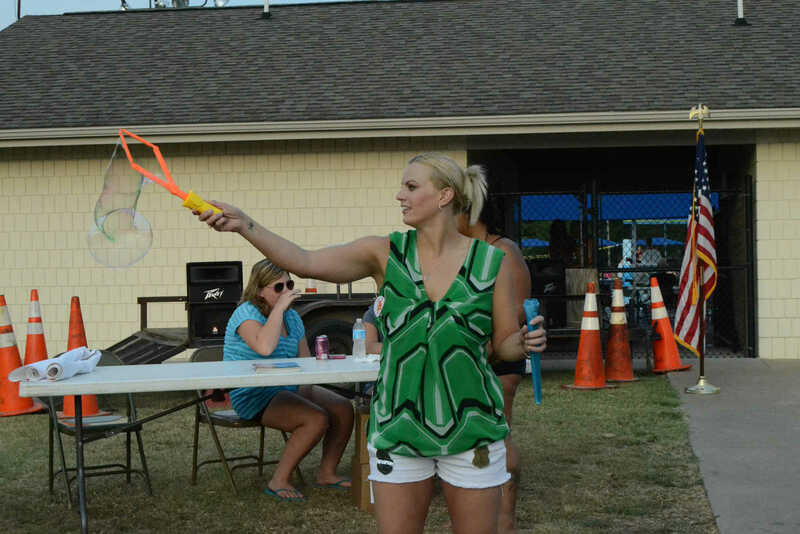 Sheena Dickey plays with bubbles during National Night Out on Tuesday. 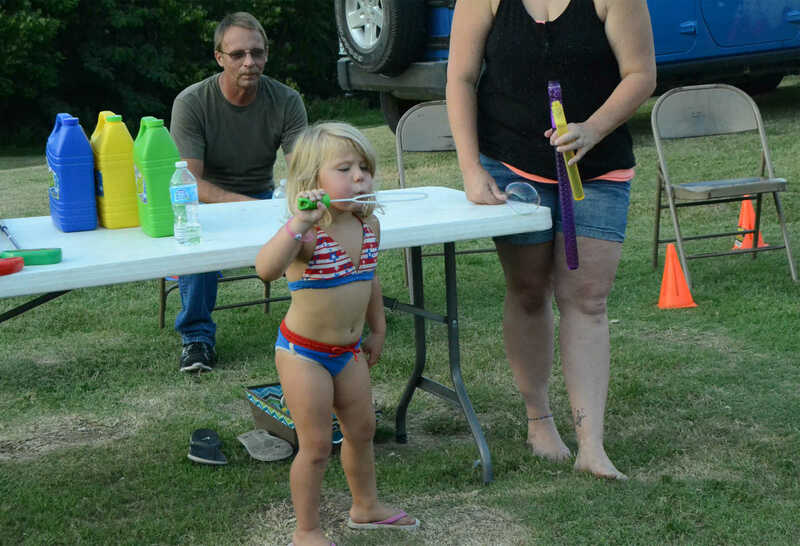 Caydee Barnard blows bubbles during National Night Out on Tuesday.